In 2016, we launched our first ever Instabug Internship Program. Since then, it has grown and evolved in ways that we never imagined. When we started the first internship program for the summer of 2016, we received 40 applications, out of which only one intern made it through. The next year, summer of 2017, we received 365 internship applications. This was almost 10 times more than the previous year. We chose three of them to join us for the summer. Two of them ended up joining our ever-growing #BugSquad and still work on a full-time basis now, over a year later. Needless to say, we were very excited to set on this incredible journey once again this year with a fresh batch of interns and to see how this process continues to develop as the company expands. 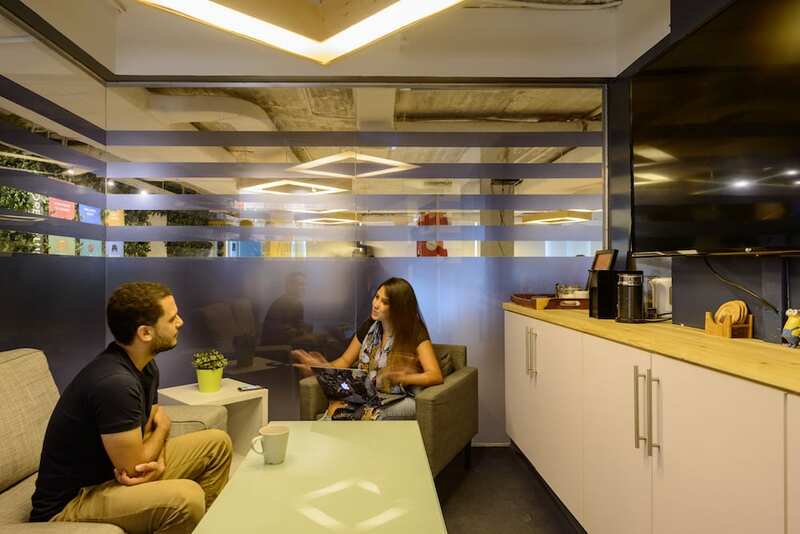 In this blog post, we will give you a look into the Instabug Internship Program of summer 2018, the process from beginning to end, and the outputs and achievements that resulted from this journey. Make sure to follow our social media platforms on Facebook, LinkedIn, Instagram and Twitter as well as our Instabug Blog for all future internship announcements. The entrance to Instabug’s new office in Cairo. The top apps in the world rely on Instabug. This year, one of the goals of our People and Culture team is to focus more on our social media presence and growing our social media platforms, including Facebook, LinkedIn, Instagram, and Twitter, to engage with our users as well as leverage them for recruitment purposes in the future. So when we planned how to launch this year’s internship program, we immediately thought of publishing a post on Facebook to help get the word out there. The results were quite shocking. Within the first hour, the post had been shared over 50 times, not just by Instabug team members but by outsiders as well. Comments started flowing from people who showed interest and were asking for more details and people tagging their friends who they thought would be a great fit for the program. Believe it or not, the applications started flowing in after just a couple of hours later on the first day, even though there was a two-week window to apply. At the end, the post had garnered more than 200 comments and about 300 shares, reaching more than 100,000 people on Facebook. We had thought about possibly boosting the post or creating Facebook ads, but we didn’t have to when we saw hundreds and hundreds of applications coming in on a daily basis. By the end of the two weeks, we had received a record-breaking 2,553 applications. Think about it this way: That’s 700% growth from the previous year, with an average of 182 applicants per day and 425 applicants per opportunity. It’s also interesting to note that when we asked our six interns who were eventually selected about how they heard about the opportunity, five out of six of them heard about it on Facebook. Four interns knew about the opportunity by following our Facebook page, one intern saw the post when it was shared by a friend, and only one came through word of mouth. Our efforts to utilize our social media platforms definitely paid off. 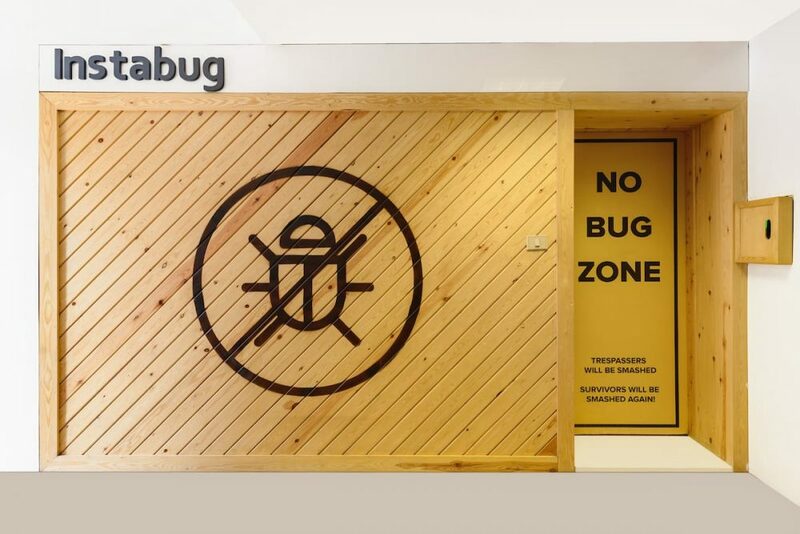 Instabug’s interview room, called “Kick Off”. Imagine all the times in your life when you felt it was impossible to pick between two choices. Then try to imagine how our People and Culture team felt when they had to pick six people out of 2,553. That meant they had to implement a selection process that would filter out 99.77% of the applicants, which wasn’t an easy task. In the initial application, applicants were asked to submit a form with their basic information, including their LinkedIn profile. They were asked to answer three basic questions about the internship and why they wanted to join our program. You can check out our blog post on why we don’t ask applicants for CVs for more on our unique approach to hiring and selection. The second the application phase ended, the screening phase commenced, and over the next two weeks, our People and Culture team spent sleepless nights and even weekends going through every single application manually to decide on which applicants were fit to move to the next phase. Once the screening phase was over, 700 applicants had passed. The next phase in the selection process consisted of an online technical challenge with multiple-choice questions based on the position. When asked about their experience with this phase, one of the interns said that the test required “high-intermediate or even advanced skills,” while another intern said that “it required skills that an intern shouldn’t have.” While that might have been correct, the tests were designed to truly test the limits of the applicants. Our goal wasn’t for the applicants to feel incapable or unfit. On the contrary, technical experience is not even a necessity for many positions at our company. You can read one of our team member’s blog posts on what it’s like working at Instabug with zero technical background. The tests were merely designed to showcase the capabilities and knowledge of the applicants who would be able to join the BugSquad. Out of the 700 applicants, 47 made it through the technical challenge and on to the interview phase. The interview phase was divided into two sections: a People and Culture interview and a technical interview. The People and Culture interview is, as the name suggests, an interview with the People and Culture team. The main objective is to make sure that you would be a great culture fit for the team and the company. The technical interview delves more into the applicant’s knowledge and past experiences, if any, to make sure once and for all that we end up with the best of the best. Applicants don’t have to pass these technical tests with flying colors, but we wanted to make sure that they had the knowledge needed to fit what we were looking for and that they would later build on during their internship program. After all 47 interviews concluded, it was decision time. The team leads, with the help of the People and Culture team, went through the final set of applicants one last time to decide on which ones they thought would best complement our team, and our six interns of summer 2018 were finally chosen. 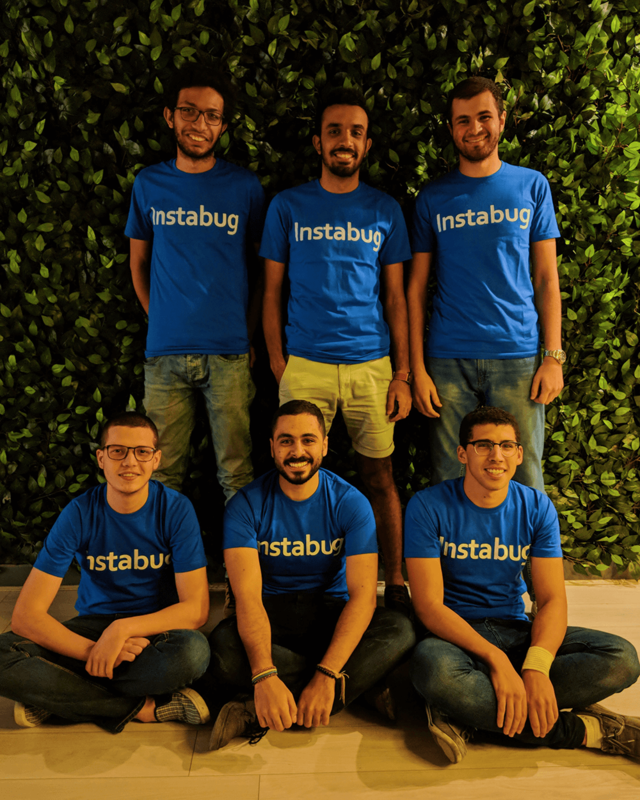 The interns of Instabug’s Internship Program 2018. Work Experience: Learning about something is one thing but actually practicing it is a completely different thing. Our interns got to be immersed in our work environment from end to end with everything from daily standups to team plannings and even company meetings, which helped shape their perspective about work life. New Skills: There’s this stereotype about interns being hired to fetch coffee and do redundant tasks, but our interns actually got to own the Instabug product and work on it just like any other member of the team, which helped them gain a lot of skills and expertise. One intern even said that besides the technical aspect, he gained some soft skills that he did he not expect to learn and didn’t even know he needed. High Learning Curve: Having this intense experience crammed into two months is definitely not for the faint-hearted, which is one of the reasons we made sure we picked the right people for it. 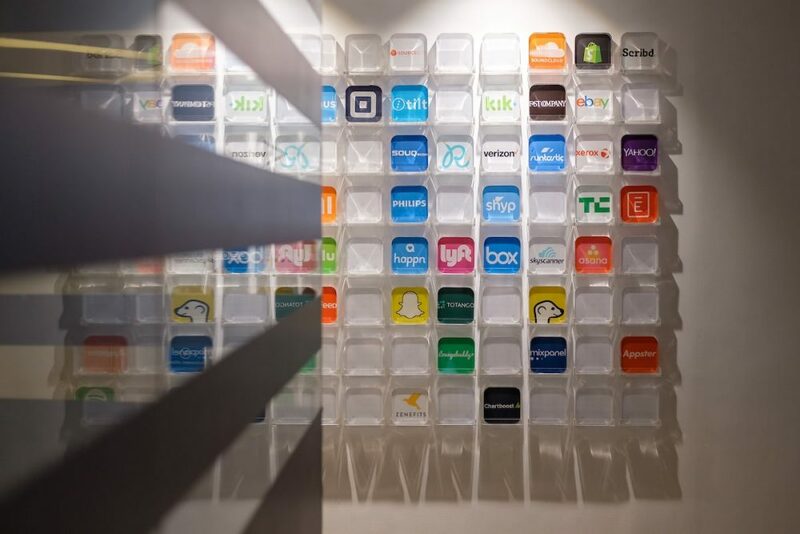 Working with the latest technologies on a real-life product over a huge scale with some of the biggest tech companies in the world, all while trying to learn and master new skills, can be overwhelming, to say the least. It does, however, provide you with a high learning curve and condensed experience that will definitely prepare you to kickstart your career. References: You know when you’re a fresh graduate and you find that all job listings require work experience? Well, an internship is one way to solve this problem. Doing an internship program is the first step to building a prestigious CV as well as building your professional network. It helps you establish the foundation that you will build on later in your career. Mentorship: We don’t like to toot our own horn (even though we’re about to), but we believe we have some of the brightest minds working at Instabug. Getting to work very closely with such talented people, especially at such a young age, can be extremely beneficial in shaping you both personally and professionally. Join the #BugSquad: Sometimes an internship program is the way to meeting your future employer. Remember when we said that two out of our three interns last year are still working with us till this very day? Well this year, five out of our six interns got offered positions at the company and are now full-time members of our #BugSquad. 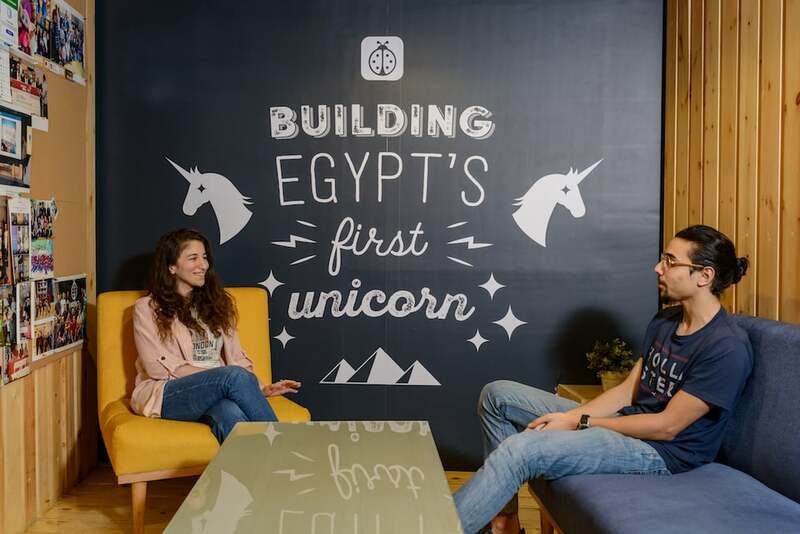 Join us in building Egypt’s first unicorn. Instabug is an equal opportunity employer and we do not discriminate against any team member or job applicant because of race, color, age, religion or religious belief, ethnic or national origin, ancestry, nationality, political views, educational background, social status, gender, gender-identity, sexual orientation, mental or physical disability, genetic information, military or veteran status to give everyone an equal chance. In fact, we value diversity in our company very much. We also pride ourselves on having one of the highest females to male ratios in tech companies in Egypt. However, only 20% of the applicants for the internship program were females and all six interns who made it through were male. While we cherish diversity, being an equal opportunity employer means that everyone is treated equally and no one is treated preferentially just for the sake of having a more diverse team. That’s why we strongly encourage female candidates to apply next year and to apply to join Instabug in general. We’re extremely proud of our 2018 interns and what they have achieved and we just can’t wait to see what they do in the future and how their professional lives unfold. We also can’t wait for summer of 2019 so that we can do it all over again and witness how the Instabug internship program continues to evolve. If you think you have what it takes to join our interns class of 2019, follow us on our social media platforms on Facebook, LinkedIn, Instagram and Twitter as we post all of our news and updates there as well as on our Instabug Blog. Also, we’re always hiring. So if you think you would be a perfect fit for the job, the company culture, and our #BugSquad, we’d love to meet you! Check out our current job openings and Apply Now.